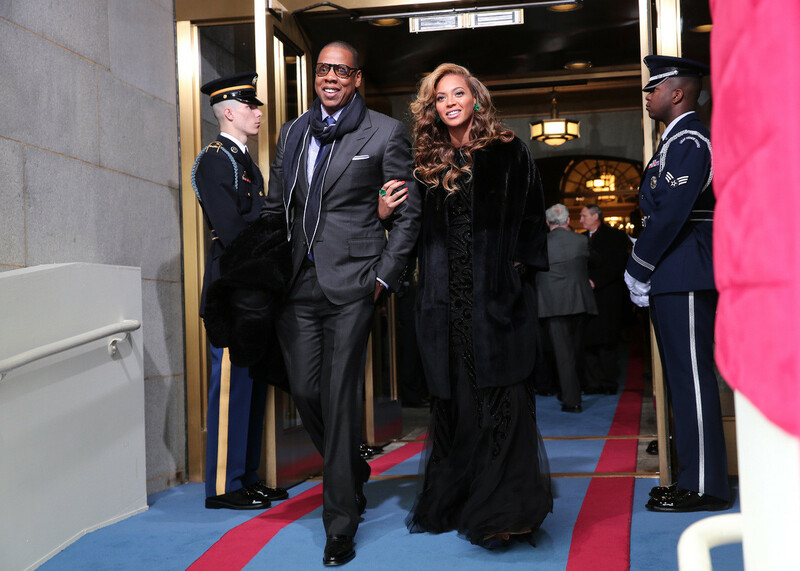 All eyes were on Beyoncé this morning at the inauguration ceremony in Washington D.C., as the stylish songbird stunned in a gorgeous velvet and chiffon beaded gown from Emilio Pucci's pre-fall 2013 collection paired with a luxe fur coat by Dior. The curve-hugging design was elegant and mesmerizing for the momentous occasion, and paired beautifully with Jay-Z's dapper Tom Ford suit. The star accessorized her designer look with dazzling statement jewels including 80-carat emerald earrings and a matching 50-carat emerald ring by Lorraine Schwartz. But perhaps the most alluring element of her entire look was her magnificent bombshell hairstyle created by celeb stylist Neal Farinah. Farinah, who is responsible for several of the star's most iconic 'dos, gave Bey gorgeous voluminous curls and a deep side part for the ultimate glamour moment on this historical day. 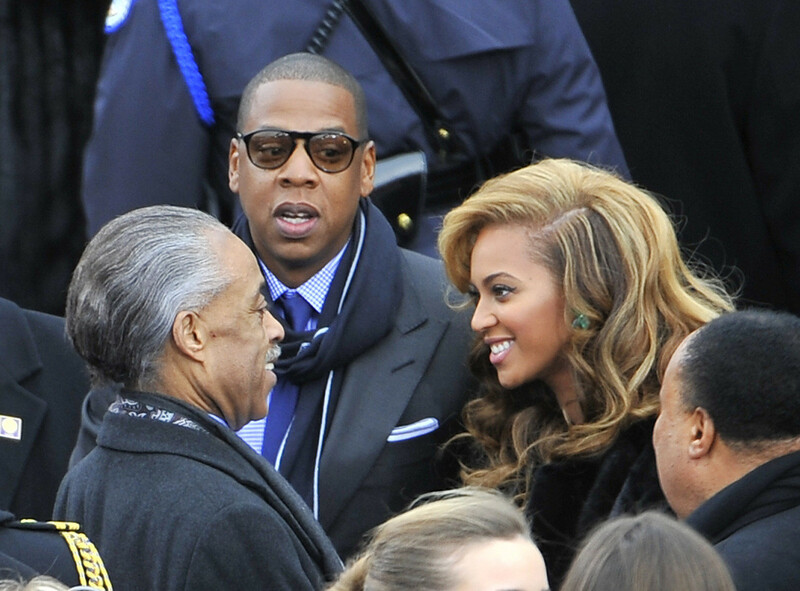 We may have nearly fainted when Beyoncé strolled into the 2013 Presidential Inauguration sporting beautiful loose curls. 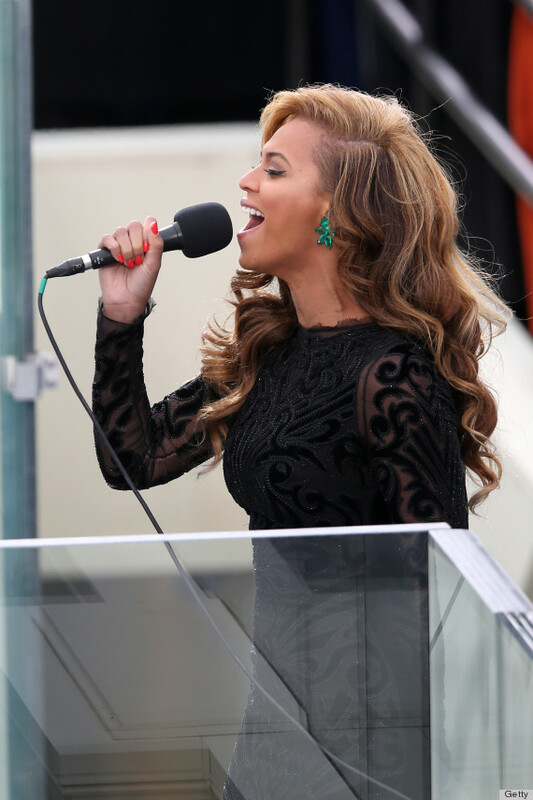 But once the star grabbed the microphone to belt out the national anthem, our eyes zoomed in on her bright manicure. For her musical spectacular on Captiol Hill, Beyoncé tapped celebrity manicurist Lisa Logan to deck out her digits in hot orange nail polish (similar to Red Carpet Manicure's "Tangerine On The Rocks"). 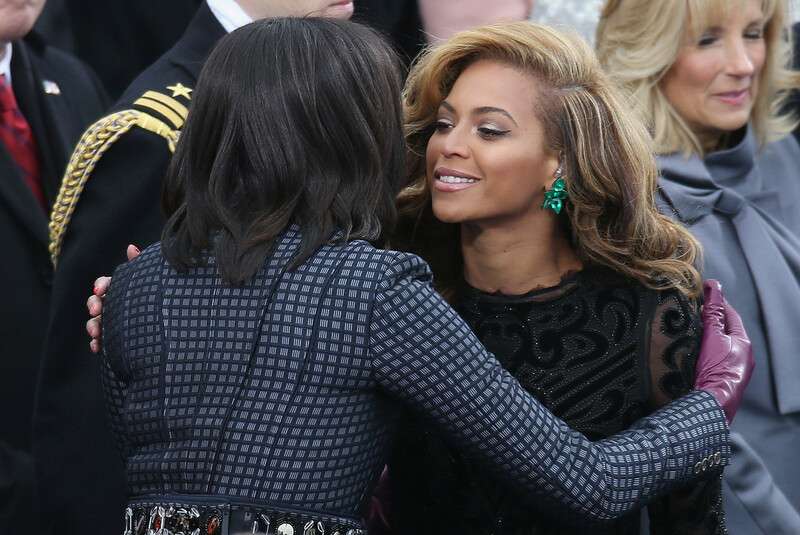 "When Beyonce walked in, she just plainly said, 'I want orange.' So orange it was!" said Logan. Even though it wasn't a blatantly patriotic nail color like red or blue, the neon hue was perfect as it accentuated Beyoncé's bronze complexion and emerald green Lorraine Schwartz jewels.